For several legal companies or agencies, the line of their activities includes applications for immigration because of the requirements and standards imposed by USCIS approved translations. They also provide assistance in obtaining successful entry into the US for non-nationals who would like to immigrate or even extend their stay. But in order to help them with their cases, they need USCIS certified translation services. If you need USCIS translation services for any personal document in a rush, just get in touch. 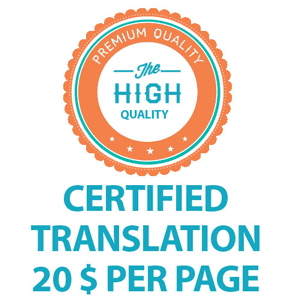 We provide certified translations from any language into English in 24 hours or less at the lowest rates in the US: only $20 per page for pages under 200 words (most of your personal documents are under 200 words). We don’t charge extra if you need your translation fast or during the weekend, and all our translations are guaranteed to be accepted by the USCIS! With our expertise in the immigration system, we now have expert knowledge in several types of visas which can be incorporated into each application. Our expert USCIS certified translation services for immigration in the United States will translate and certify any document and provide you with instructions and guidance about the translation during an immigration interview. In cases such as, for example, visa as a result of marriage, we provide certified translation for the immigrants, which is exactly what they need to submit to USCIS, for instance, a birth certificate translation which features important info like the legal man or woman’s name, date of birth, place of birth, together with a stamp regarding the issuing office. The high qualification skills that our experienced translators have will provide you USCIS certified translation services which will assist you to complete your case for USCIS and will certainly turn them in the best legal document even yet in cases where you thought to have a specialist translator to translate your document. But all immigration proceeding officials prefer translations which can be performed by impartial translators that are professional and competent to convey the documents into English. Any failure that may take place in regards to exclusion or misinterpretation regarding the original in English can cause delays in the immigration process. Certified translations by Universal Translation Services are appropriate for immigration purposes across the United States. We guarantee that the greatest translation abilities of our translators are put to work and along with the translation, the certificate you get from us fully meets the USCIS translation requirements for immigration documents. Enthusiasm at our workplace which our employees possess and their respective professional, expert approach and knowledge allows us to provide certified translations for any personal document, from any language into English. A certified translation for USCIS is a translation provided by a professional translator or translation agency which has been done according to USCIS requirements and is accompanied by a signed and stamped “Certificate of Accuracy”. 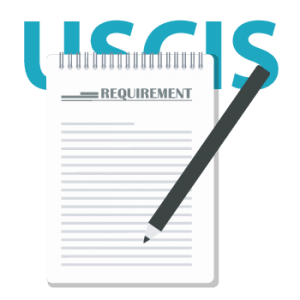 Download our information brochure in regards to the requirements for USCIS certified translation services (in PDF format). United States Citizenship and Immigration Services no longer require notarized translations. They are now accepting certified translation for personal documents. If you’re dealing with USCIS, we can help you with your translations at the lowest rates in the market! All our translations have been accepted by USCIS offices across United States with no issues. With us, you don’t have to worry that your documents might be declined, as we ensure 100% acceptance rate for all our certified translations! Our main goal is to provide high quality translation services for each and every one of our clients. It doesn’t matter if your document is small or large, we’ll always have a native to translate it, and another native to check the translation, leaving no room for errors! We charge one the lowest rates for USCIS translation: $20 per page if the page has less than 200 words. Most of your personal documents have less than 200 words. If there are more words on the page we charge $0,12 per word. We do not have extra rush or weekend fees. All your translations will be done in 24 hours or less. 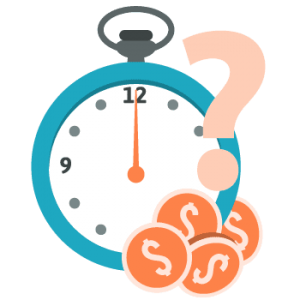 Ask for our free quote, pay the invoice and as soon as the translation is done, we will send you a draft in order for you to check the names and dates. Once approved by you, we will certify the translation and send it to you. We have professional linguists for any language, starting with the most common ones like Spanish, and ending with Haitian Creole or Thai. You don’t have to waste your time looking for a translator, all you have to do is to get in touch with us. 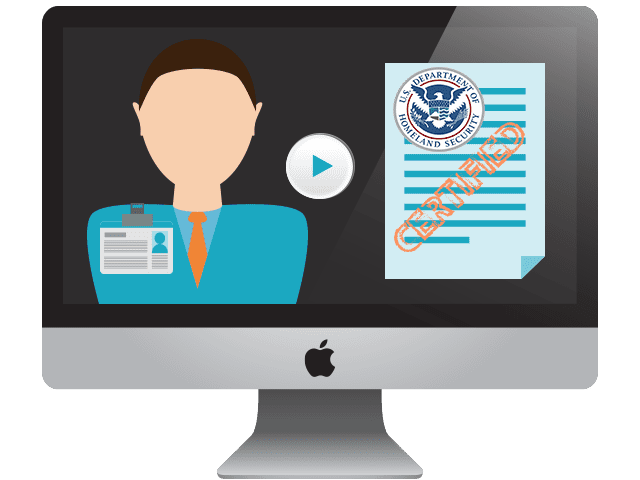 Video: How do you get certified translation for USCIS? When you need to translate documents for USCIS, you must always opt for an experienced and certified translation company. Specific rules must be followed when it comes to USCIS certified translation services that are set by the organization itself. Some of these include that every page of the document must be stamped and signed; also there has to be a certificate of accuracy attached to the translation. 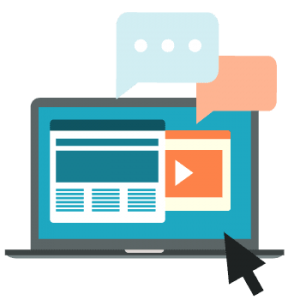 Stop looking for the most reliable translation agency for this purpose and have a look at the video above, it will give you the answer you were looking for. It is essential to have accurate and reliable documents when submitting for immigration proceedings. Should a mishap in the submission of documents that were translated from a foreign language and which translation is not certified greatly slow down the immigration application? In order to prevent this nuisance, we are confident that by using our extensive experience with the translation of a number of documents for immigration purposes you will be satisfied with the right way that we’re going to manage any project and you will certainly be supplied with appropriate certification of translation by professional translators. Although a USCIS translation has specific requirements for document translation from a foreign language, certified translations you get from us come in full compliance with the requirements and regulations of USCIS. A duplicate of the personal documents such as for example birth or marriage certificate is necessary when submitting documents to the Citizenship and Immigration Services. When these documents come in any other language except English, you’ll need to get in touch with a translation company that provides USCIS certified translation services. It is also desirable to utilize our services because our company is a reputed company in Miami which has an extensive experience with the preparation of certified translations for immigration purposes. There are certain situations in which all you look for is authenticity, such as acquiring USCIS certified translation services. The United States of America constantly updates their prerequisites and the translations must be conducted as per those rules. 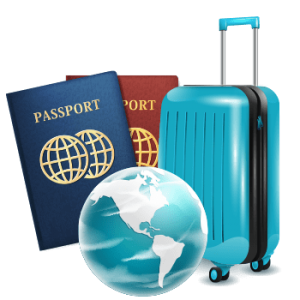 The immigration authorities are very particular about the rules and regulations due to the sensitivity attached to the traveling procedures. The United States Citizen and Immigration Services surely keep under consideration the convenience and safety of the travelers and that is also the main concern of Universal Translation Services. Our expert team provides certified translations for USCIS with absolute authenticity. We make sure that we save our clients the trouble of going through any difficulty. Our work process is transparent and our translators have a vast experience in the field. Universal Translation Services has been delivering USCIS certified translations to clients for over a decade now and we are proud of our 100% acceptance rate. For us, every translation that we undertake is a matter of significance and immigration translations, in particular, are a matter of extreme care as they need to be done according to USCIS requirements. 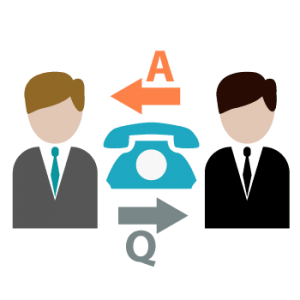 Our project managers assign work to the translators in accordance with their expertise so that they can give excellent outcome. In order to avoid any delays as you are supposed to submit your USCIS translation in time, you must talk to our correspondents via live chat, send us an email, or call us. Our team will promptly respond to your query and you can have your project delivered within 24 hours. USCIS stands for the United States Citizenship and Immigration Service. This office is informally known as the ‘immigration office’ and it receives millions of applications from immigrants who want to settle into the United States. Why do I need to get my translation certified only to submit it to the USCIS office? When people are looking to immigrate in the United States, almost all of them bring up many documents as a proof of their identity and other specificities that are not written in English but they are a key evidence to win their case. It is hard for the USCIS employees to verify their documents if they are not in English. So they are asked to come with a certified translation in which the translator takes responsibility for the credibility and quality of translation for the sake of acceptance. This rule has been imposed to simplify and quicken the process of immigration because if every immigrant will be called back in to explain his documents then the process of immigration will become much complex and will require much more paperwork and will need much more time. As translations are needed to be verified for accuracy, all need to be certified before submitting them to the USCIS’s immigration office. USCIS no longer requires notarized translations, but there may be cases when they do for certain documents. The best thing to do is to get in touch with them and ask. Do I need hard copies or digital copies for USCIS? USCIS accepts documents sent to them by e-mail just as they do hard copies. 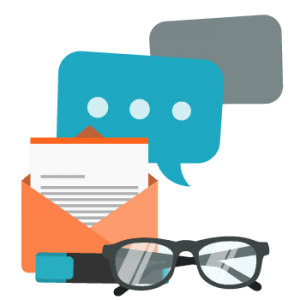 If you receive your translation by e-mail, you can send it also by e-mail to USCIS, or you can print it and hand it over to them, both will be accepted. What is the definition of official translation? Official translation is called the translation that is delivered by a certified translator who is acknowledged to be competent for both languages (source and target languages). Usually the official translators are certified through the authorized local entities and they are committed to provide accurate translations. What is the meaning of sworn translator? A sworn translator is someone that has been appointed and authorized by the government, the court and in some cases by the ministry of foreign affairs or justice to translate and issue certified/sworn documents. 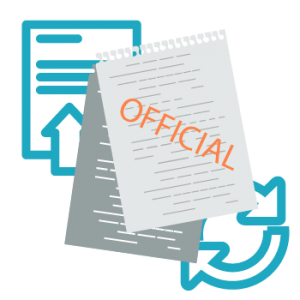 The translator certifies a translated document by attaching it to the original document and stating a formal declaration that he/she believes the translation to be correct and complete. He/she then validates the document by the official stamp. 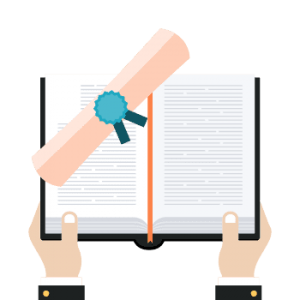 What is a certified translation of a document? A certified translation of a document is a translation which is accompanied by a certificate of accuracy which attests that the translation is accurate, being a reflection of the original document and that the translator or the translation company is entitled to translate from one language into the other. Do I need to translate my birth certificate for USCIS? If your birth certificate is in any other language than English you will need to have your birth certificate translated and certified according to USCIS requirements. Do translated documents need to be notarized? USCIS no longer requires notarized translations, however, some documents may have to be translated and notarized. Always get in touch with the institution requiring your documents and inquire if they need your translations notarized or only certified. Can public notary translate birth certificate? While a notary public doesn’t usually translate documents, one could translate a birth certificate if he knows both languages and certify the translation. However, the notary won’t be able to notarize his own translation or signature. If you need USCIS translation, certified will be enough in most cases, but if notarization is required, the person who signs the certificate of accuracy will have to present himself at the notary office who will verify his identity before notarizing the translation. Although Google Translate offers online translations which you might think to use in order to translate short documents such as the common identity documents, such a translation will not be accepted by USCIS. Such documents are entitled to be translated in a certain way for USCIS, and this particular automated translation program will not represent a benchmark for the precision regarding the translation in the event the personal documents are properly translated. 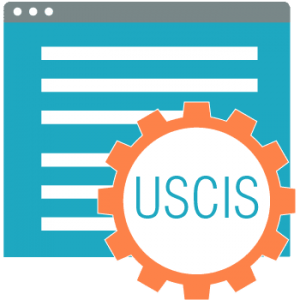 When it comes to documents they receive, USCIS is strict in this regard, and they need the USCIS translation certification to follow their standards. Representatives of the USCIS office may send a request RFE (ask for evidence) in the event that they doubt the authenticity regarding the translated document again and again and therefore the time for processing your application is prolonged. You will still have the obligation to provide USCIS with proper certified translations along with your application which can be denied if additional evidence is not received ahead of the date of receipt indicated RFE (ask for evidence). Use USCIS certified translation services instead of using a freelancer or a friend to translate for you and you won’t have to worry about your translation being rejected. 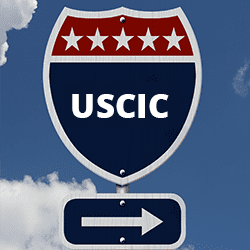 USCIS is an abbreviation that stands for the United States Citizenship and Immigration Services. It is a government organization that is responsible for looking over all the matters that are linked with legal immigration processes and requests. This organization is a branch of Homeland Security. All immigration applications are received by this department. The eligibility, acceptance, and rejection of applications is the decision of this very department. There is a lot of pre-requisite that must be fulfilled when submitting the immigration application and it is essential to follow these requirements outlined by USCIS so that there are no grounds of rejection of the application. 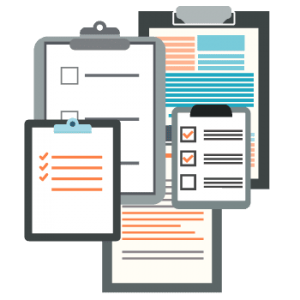 An applicant’s legal documents play the most critical role in the application. These documents are the proof of a person’s identity and his or her background. In order to submit the immigration applications to the USCIS, it is essential to get all the documents translated according to the requirements of USCIS. Whenever you are looking to get your documents translated make sure you opt for USCIS certified translation services. This is because some rules and standards have to be followed when it comes to translating documents for the application submission to the USCIS. The organization accepts applications where documents are translated on the basis of their requirements and all others are rejected. The fundamental requirement of U.S Citizenship and Immigration Services is to submit documents that are translated in an appropriate manner; therefore, this is a part that must be given utmost attention, and the translations service provider must be chosen while keeping in mind the guidelines of the organization. Some of our clients have asked us questions about the USCIS office in Miami, like where it is located, when it is open and what are their phone numbers, so we thought to help some of you with this information. Please note, our translations are not just for the USCIS office in Miami, any USCIS office in the US will accept our translations, and you can submit them by email or you can print the translations and hand them over. 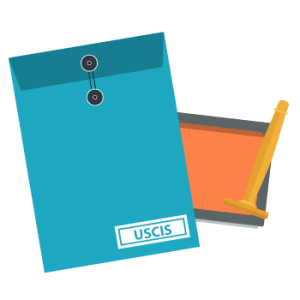 For a list of USCIS offices, you can always use the office finder on the USCIS website, which we found to be extremely reliable and handy. If you are in Miami and have to go to their Miami office, here is more info that might come in handy for you. Office Hours: Monday to Friday: 7:00 a.m. – 3:30 p.m. Closed during the weekend. In case of bad whether you need to call before visiting, even though you have an appointment as the office may be closed. What is the so-called USCIS translation certification? We have been asked by some of our clients what exactly is the USCIS translation certification and how it should look like. the short answer is that whenever you need translation for immigration to the US, it needs to be certified. The certificate of accuracy needs to be done in close accordance with the USCIS translation requirements for immigration documents. The same certificate is also called the USCIS translation certificate. Obviously, this is just another term people are looking just to make sure they get the right translation. No matter what you call it, the certification needs to be done according to the requirements. You will be able to find more info about this at their official site if you need to dig further. One thing worth noticing: there is no such thing as USCIS approved translation services. The immigration office doesn’t vouch for any translation company, nor they recommend using a specific one. What they need is a translation done according to their requirements. So, while there are no USCIS approved translation services to speak of and you were only wondering if our USCIS translation services will be accepted by the Immigration Office, the answer is yes. We are working with experienced legal translators and we always keep ourselves updated with those requirements just to make sure we provide you with exactly what you need. Even more, we have 100% acceptance from USCIS for all past projects and we also guarantee that if you use our services, your translation will be accepted as well. Immigration is a crucial moment for anyone who wants to apply for citizenship or any official relationship with the US, so the essential question here is why do you need your documents to be officially translated by a trusted translation company? A professional translator makes sure that every point in your documents is clear and correct. Companies that offer USCIS certified translation services have teams who are fluent in both languages they are working on to keep the essence of the document intact along with the accuracy, and they are well-aware of the USCIS requirements. Certified translation companies also provide you the benefit of not worrying about institutions not accepting your documents. The U.S Immigration (USCIS) office requires translated documents for immigration purposes, translations which are done according to their requirements, so going for an official translation company should be the first choice for you. If you are planning to apply for immigration, to any educational institution or to get a job in the US as a foreigner then translated documents are your top priority. Getting USCIS certified translation services from a well-known provider with a proven track record is the best option, and choosing us to translate your personal documents will not only give you what you need in record time but you’ll also have the advantage of getting the lowest prices in the US. Ensuring quality and top-notch customer service, we provide translations in 24 hours or less, at low rates, translations that have 100% acceptance rate at USCIS. If your next big decision in life is to move to the US, then we can’t just believe that you weren’t planning for it in advance. Then of course, you would be thinking to get the certificate of translation for USCIS. The immigration rules for all immigrants are the same in the US, especially for those who come from a country where English isn’t the official language, since they are imposed by the United States Citizenship And Immigration Services. Among them, the provision of certified translation to USCIS tops the list. But this isn’t as hard as it sounds, the USCIS translation certification isn’t something special, you just need a translation service which offers certified translations and you have to submit it to the immigration office. And this is what people misunderstand for a USCIS certified translation. We know all these things because we have a 100% acceptance rate for our certified translations at USCIS. And we can surely help you with that too. If you need USCIS certified translation services for any personal document get in touch, we can translate from about any language into English fast (in under 24 hours) at the lowest rates in Florida (only $20 per page). All our translations are guaranteed to be accepted by the USCIS. Where can I find certified translation services for USCIS? As Certified Translations are the only translations accepted at the USCIS, you must have someone good on your list. A Translation company that offer Certified Translations for immigration. Universal Translation Services prides itself on its high quality Certified Translations. We save you from the trouble of finding the right kind of translators as we have only the best. Also, with us, you will never be late or overcharged. Our prices are the most affordable ones available and we offer 24 hour delivery for the times when time is the biggest luxury. Next time you hear someone asking about certified translation services for USCIS, you know where to direct them. 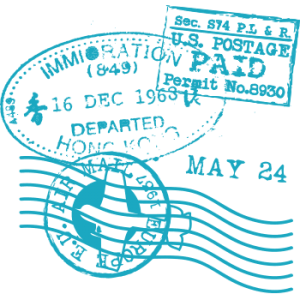 Where Can I Find Document Translation Services For USCIS? Submission of official documents at the USCIS is something that often requires translations. To ensure the language difference doesn’t affect the visa process, you naturally start your hunt for a document translation service for USCIS. Lucky for you, you landed here. At Universal Translation Services, we cater to all your translation requirements including document translation services for USCIS. Whether you need a birth certificate translation, a marriage certificate translation, a medical report or a police clearance, we deliver it all. Our expertise is not limited nor is our attention to the tiniest details of all your translation projects. So trust the world’s leading name in translation and leave all your worries behind.